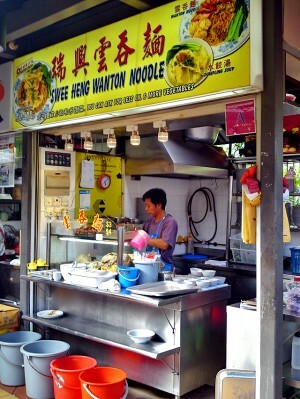 For the Wanton Mee lovers who frequent Chomp Chomp at Serangoon Gardens, I am sure you would have eaten at Swee Heng Wanton Noodle which is hiding in one of the corners of the food centre. I am a suaku here because I have never taken interest in food at those stalls at that little corner. However, recently I was told that Swee Heng Wanton Noodle is one of the ‘Die Die Must Queue’ stalls in Chomp Chomp so here I am to see why is that so. I arrived at 6+ to avoid the evening queue and was pleasantly surprised to find that there is only one thing you can buy from this stall and that is the wanton mee. They don’t even have any chicken feet mee or shredded chicken mee which you can get from most wanton mee stalls in the market nowadays. Don’t know about you but that surely sounds like they are a ‘Master of Wanton Mee’ for me. They do have something a little special on their menu though and that is the spinach noodles. I’m not sure this is really made of spinach or it’s just the coloring at work but the texture is very unique in that it is lesser QQ(al dente) but yet very smooth to bite. The star of the plate has got to be the sauce which I thought was really good. It’s the oily sweet type which can always do very well for me. The char siew was a little lean but nonetheless quite shiok. Where it didn’t hit home for me are the wanton and the soup. 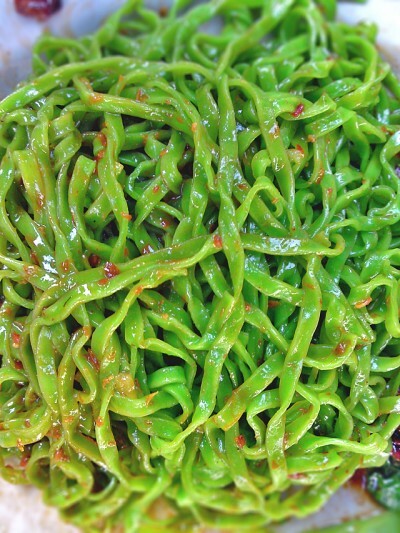 But if you are an ikan bilis’ flavour lover, it might do better for you. I guess very little work is needed to turn this wanton mee into a really really outstanding plate. 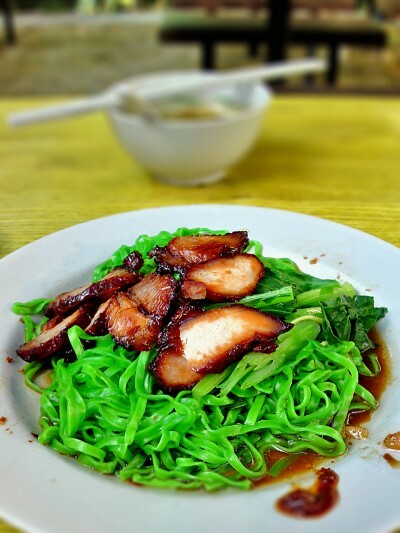 A fattier cut of the pork can do some wonders to the char siew and if you relish QQ noodles, don’t choose the spinach noodles. I had returned to try out it’s normal noodles which was very very very QQ. Not sure if that is the reason why people are joining the queue but at least for me, I will gladly do so next time. Conclusion: A very good plate of wanton mee. Not the best around but not too far off either. It’s the sauce and QQ noodles that shioked me. 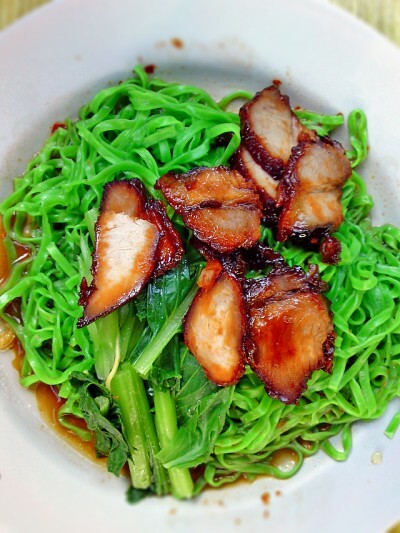 If you like green color maybe the spinach noodles can shiok you more. For those who don’t know, the owner Mr Kang bought over the stall from his father for $133,000 in 1997. Dislikes: Wanton and soup too much ikan bilis flavour.